A growing segment of visitors have been coming to Thai to do more than visit temples, beaches, or shopping. They want to immerse themselves in local life in Thailand. Volunteer holidays is a new industry in Thailand. Visitors can spend a few weeks to a couple of months volunteering in an impoverish rural community to work with local children teaching English, taking care of elephants, and building local housing. This is an amazing way for visitors from first world developed countries to see a different way of life and feel gratitude their current life. However in order to volunteer in Thailand, the visitor requires a non-immigrant “O” visa and a work permit. There are some private tour company who will assist the visitor with the process of obtaining the proper visa and work permit. The process starts at the visitor’s local Thai consulate or embassy in their home country. Check our Thailand visas page for information on other types of visa. The visitor must submit a completed visa application with their original passport, a letter from the organization confirming that the visitor will be volunteering, copy of the registration certificate for the foundation or organization, and evidence of 20,000 baht in funds. The documents need to be submitted with the visa fee and a two recent passport photos. The consular officer may request additional documents which they deem necessary to evaluate the application. If approved, the visitor will be issued a three month visa to enter Thailand for a maximum period of 90 days. After entry into Thailand, the visitor can file for an extension of their stay beyond the initial authorized period of stay. However in order to volunteer for a few weeks or longer for an organization, the visitor is required to obtain a work permit. Established organizations and foundations should not have any difficulty obtaining a work permit. The organization and foundation should have the documents prepared and assist the visitor in submitting the application for a work permit. 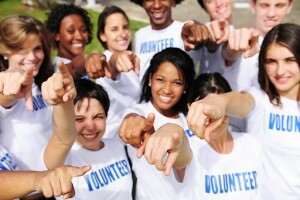 There are many organizations, charities, and foundations on the internet who cater to tourist volunteers. They provide a wide range of experiences for their volunteers. Some organizations are profit making entities that cater to visitors who want to immerse themselves in Thai life. It is important to research these organizations beyond their self-promoting websites. Volunteers should review forums and discuss potential places to volunteer with knowledgeable people. Everyone should tailor their time to ensure that they get the experience that they want. Thai people are kind people. When a visitor volunteers, it is important to remember that they are a representative of their country and also representing other volunteers. When the volunteer is teaching children, building a community center, or caring for elephants, they are representing the best of themselves. See the related article Becoming a Foreign Volunteer Worker in Thailand from thaivisa-news.com.